Product #18613 | SKU TSA1 | 0.0 (no ratings yet) Thanks for your rating! 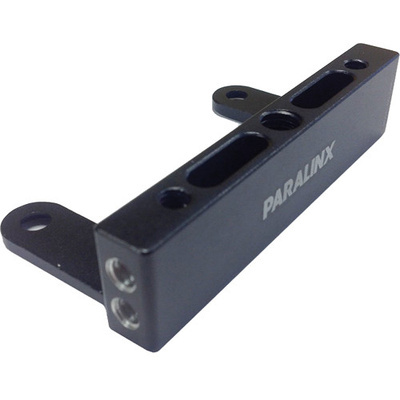 The Paralinx Sidearm is a cage-like mounting bracket for the Paralinx Tomahawk and Arrow-X transmitters. It attaches to the transmitter and functions similar to how a cage does for a camera. Featuring 1/4"-20 and 3/8"-16 threads all around, it allows you to mount various accessories, such as the NP-F Battery Plate from Paralinx.